AncientFloors.com | Catalina Malibu Tiles. Our California Malibu tile manufacturer specializes in producing a broad array of designs including exquisite Persian, Islamic, Saracen, Spanish Colonial, Moorish, Swedish, and Mayan designs as well as the classic floral designs of the historic Malibu & Catalina Potteries. 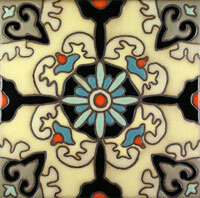 * standard glazed field tile in over 100 colors & custom glazed field tiles. 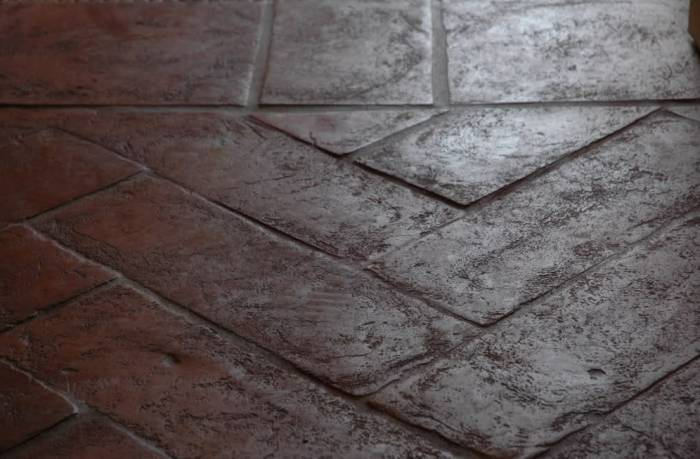 Malibu Tiles are made with rare old world technique known as "cuerda seca" or dry-line, this formula will resist the flow of wet glazes so that they will remain separate until fired. When the tiles are finished it has unique texture lines which gives the tiles extra special look and feel. Line separates the matte and gloss glazes which makes it possible to combine both in one design. The final product looks incredible. When the sun light hits the surface of the tile it shines and reflects perfectly clear designs that will amaze you. Prices for Malibu Decorative Tiles range from $8.50 (4x4") - $35 (12x12") per tile with minimum order $600, custom colors and designs minimum order is $1000.00. Solids are also available in matching colors from $4 per tile. Please contact us for an estimate of your project.